Fall is a time of color and beauty in the valley and it all starts when the last of the grapes come in and harvest comes to an end in October. 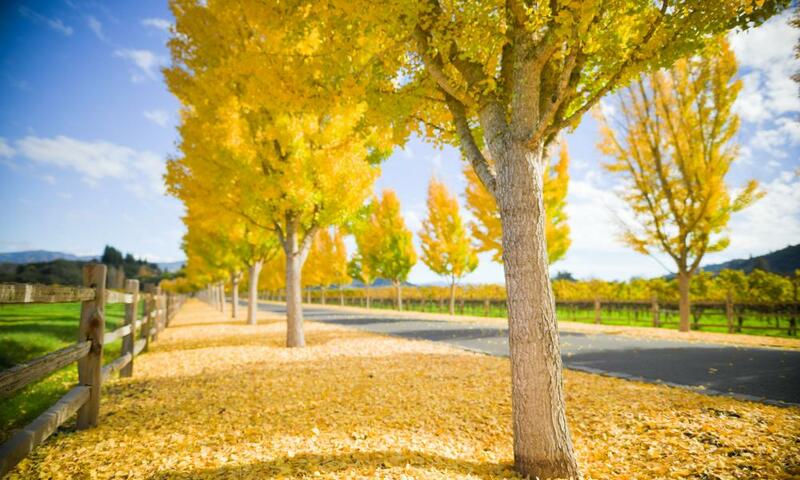 In November, the Napa Valley is covered with yellow and red fall foliage and the aroma of fermenting grapes seeps out of their tanks and fills the air with the smell of blueberries and yeast. Besides the complete and utter beauty of Napa Valley, there are also a lot of fall happenings to check out. The Open is part of the PGA Tour FedExCup, hosted at the Silverado Resort and Spa. It will host many of the top PGA Tour players in the world, including Phil Mickelson. Attendees can enjoy world-class golf together with great offerings of food, wine and music. All Hallow’s Eve is a favorite holiday in the valley, with lots of parties and other ways to celebrate the spooky season. Here are a few 2017 Halloween events to choose from in Napa Valley – and don’t forget to wear your most spectacular costume. The Little Book is valued at over $1,000, and for only $100 per person you gain access to twenty-four elevated wine and food pairings, vineyard view rooms, barrel tastings, cuisine from award winning chefs, behind the scene tours and so much more. The ultimate celebration of film, food and wine, the Napa Valley Film Festival features independent films and studio sneak previews screening in beautiful venues up and down the valley. Enjoy 100 films, 300 filmmakers, 150 wineries and 50 chefs all in the beautiful Napa Valley. The valley has no shortage of delicious restaurants, many of which will be open with special hours and menus on Thanksgiving. Whether you want a Michelin-starred dinner or family-style buffet, there is something that will make every family member happy.